Work your styling techniques to make this totally cute top fit any occasion. 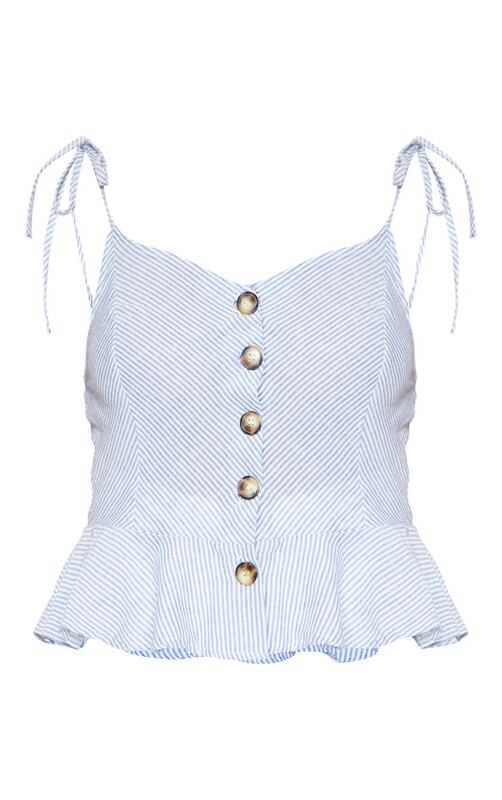 Featuring a blue striped fabric with strappy details, a button up front and peplum hem, what's not to love? Style with white wide leg trousers and heeled sandals for a look we're loving.